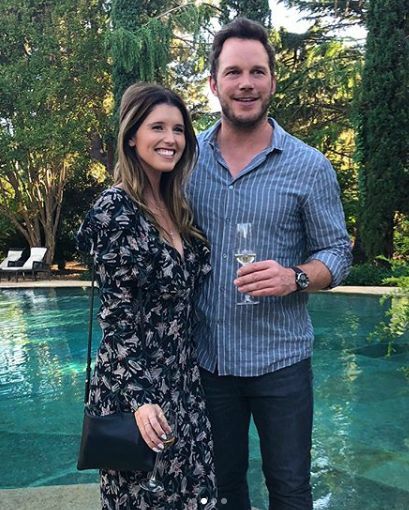 Congratulations quickly poured in from their famous friends — Gwyneth Paltrow, Tom Holland, Jason Momoa, Bryce Dallas Howard, Olivia Munn, Rosario Dawson, Katherine’s brother Patrick Schwarzenegger, and the list goes on. However, the one comment getting the most attention was from Pratt’s ex-wife, Anna Faris. She wrote, “I’m so happy for you both!! Congratulations.” In just two hours it accumulated more than 23,000 likes. David Guetta and young Jessica Ledon to have wedding soon. This entry was posted in Affordable Wedding Venues | Wedding-Oregon.com, Affordable Wedding, Pioneer Church Chapel & Venue - Gladstone Or. | Wedding-Oregon.com, Affordable Wedding, Pioneer Church Chapel & Venue - Hillsboro Or. | Wedding-Oregon.com, Low Cost & Afforable Weddings in Oregon. Bookmark the permalink.